Mr. Md. 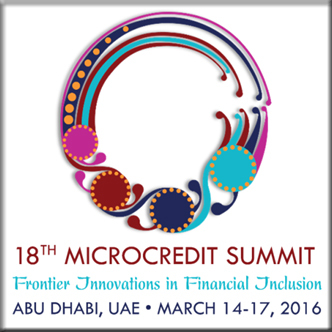 Abdul Karim, Managing Director, PKSF has joined the 18th Microcredit Summit held in Abu Dhabi, United Arab Emirates (UAE) on 14th March 2016. The Microcredit Summit Campaign, in collaboration with the Arab Gulf Program for Development (AGFUND), has organized this summit from 14th to 17th March, 2016. As an honorable speaker, Mr. Karim takes part in one of the sessions of the Summit titled “Serving our Aging Clients and Persons with Disabilities”, to share experiences of Bangladesh and the role of PKSF to support aging and disabled people. According to Microcredit Summit Campaign, the 18th Microcredit Summit will be an opportunity for a wide range of stakeholders to promote best practices and engage in a thoughtful discussion around the challenges and opportunities in using microfinance as tool that can help us contribute to ending extreme poverty. The summit will focus on microfinance and financial inclusion strategies that create clear pathways for social inclusion across the globe.